From 1800 to 1860, Virginia had more slaves than any other state. African enslavement formed the very basis of Virginia’s successful plantation based economy of raising tobacco, and the more infamous cultivation and selling of slaves to states further south for use on rice and cotton plantations. 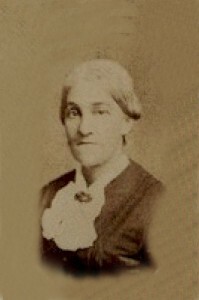 “This is my last will, wishes and directions within the terms of law that at my death, my sister Catherine Hays, daughter of Moses M and Rachel Hays shall come into possession of all I have in this world, namely stocks of every description, cash, plates, books, household furniture, and fixtures of every kind. I again repeat, all and everything my sister Catherine must take as her own without reserve as I request of her, and if she should die when I do, I desire two thousand dollars may be presented to Excy Gill our faithful friend and servant. Slowey Hays died on October 28, 1836 and her will was witnessed by her brother in law, Moses Mears Myers and her nephew Gustavus Myers of Richmond. Gustavus was one of Richmond’s most promising young attorneys who would go on to serve as President of the Richmond city council and as Special Counsel to Great Britain for the Confederate States of America. Through love, caring, ingenuity, and some legal slight-of-hand displayed in the wills of Catherine, Slowey and Excy; Richard and Narcissa Forrester, two free-born persons of color would have the opportunity to not only remain in their home city and state, but be given the substantial financial resources to become one of 19th century Richmond’s most prominent families of color. 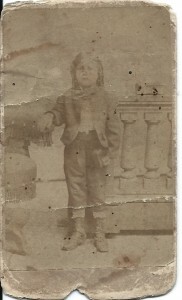 As an adult, Richard Gustavus Forrester would become the first man of color to serve on the Richmond city council and school board leading the efforts to promote equal opportunity and access for all newly emancipated African Americans immediately after the Civil War. 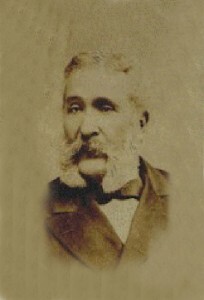 Richard Forrester and his family, despite being born into and living within one of the most difficult times and settings for persons of African heritage, prospered and thrived because the two Jewish sisters and their Irish friend found that when there is a WILL, there is a way – for freedom and prosperity. Thank you for sharing. It is nice to know about good people doing nice things.